Every training offers a series of Clyde Harvey designed programs. STA is excited to announce its 2014-15 basketball classes in the Kansas City metropolitan area. Who does Shooter’s Touch Academy (STA) train? College coaches are looking for high school players who have college-level skills at the high school level. When do high school players learn college level skills? According to research, it is extremely important that players receive proper college-level shooting fundamentals before entering high school. Studies show that a basketball player, during the summer of his/her eighth grade year, either starts the process of mastering their elementary shooting form; or through the proper assistance, starts the process of mastering their college-level shooting form. This program was developed specifically to target a players shooting form. This program was developed specifically to target players transitioning from eighth to ninth grade. It is one of the highest recommended training sessions in the world. This program is recommended for 40 hours or more. The re-introduction of Shooter’s Touch Academy in the Kansas City metro area marked the opportunity for high schools to partner with STA and provide students with a shooting enhancement program. STA is quickly becoming the most respected basketball training class in the area. STA assists in greater preparation of high school athletes and coaches for the tasks of their upcoming season. The sessions are run before and during the season, throughout the post-season and do not interfere with game play. STA also provides support to high school coaches including teaching essential shooting and ball-handling skills not conferred in limited “team development” practice sessions. THE SHOT TRAINING offers college athletes the personalized, advanced training they need to excel at their university. If a player’s goal is to play at the professional level, the Academy has all the tools and knowledge to help make it happen. Each session, developed by our Certified Teaching Professionals (CTP), not only challenges players physically, but mentally, with strategies and game situation insight that will elevate their game. It will also maximize players’ mental conditioning, run, jump, shot, speed, agility, and quickness. This training is for all NBA or International Basketball Players and will increase your mental training, court stamina, jump, shot, speed, agility, and quickness. Instruction on the professional level is all about “MASTERING” given skills, shooting efficiently and in-game decision making, all of which are critical to the athlete’s long-term success. 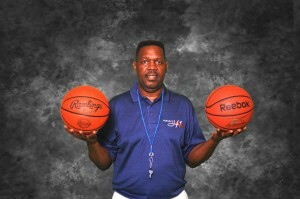 Shooter’s Touch Basketball Academy tips shed light on nuances of the game from Clyde Havery’s experienced perspective. He teaches the athelete – Better Footwork -Better Form – Better Shot. STBA strives to give valuable information, so that players and coaches, can improve. Clyde Harvey’s experience creates a positive atsmosphere allowing star players to improve their specialty on the court, as well as, excelling in other roles. STBA does not discourage individuality of players; STBA embraces that special skill set while teaching teamwork. Clyde Harvey knows well that teamwork is important, as well as, improving individual skills which results in a better TEAM. STBA does not discourage individuality of players; embraces that special skill set while teaching teamwork. Clyde Harvey knows well that teamwork is important, as well as, improving individual skills which results in a better TEAM. To improve individual basketball skills in passing, shooting, dribbling, rebounding, and defense, STBA employs several training aides and step by step isolation techniques.